Tim Parish baptizing Maris Bonilla today in Namasigue…Two years ago my father, Patrick Agee, baptized her daughters Cindy and Yerica after a lengthy study, but Maris said she was not ready. It was awesome today to see her commit her life to Christ! 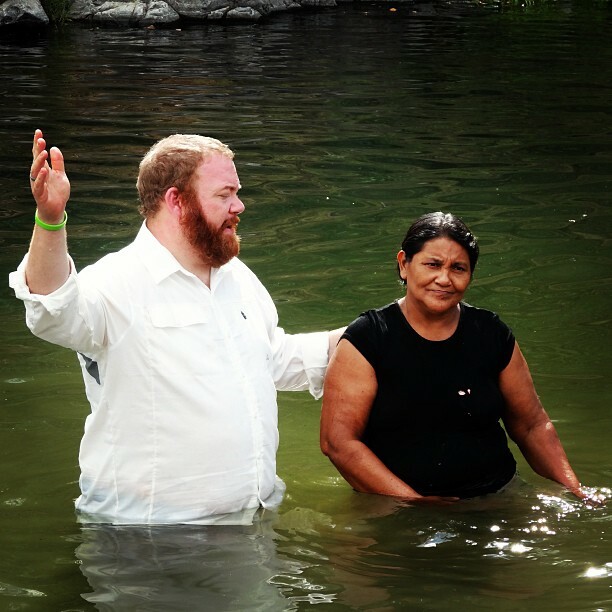 Home » Blog » Faith » Tim Parish baptizing Maris Bonilla today in Namasigue…Two years ago my father, Patrick Agee, baptized her daughters Cindy and Yerica after a lengthy study, but Maris said she was not ready. It was awesome today to see her commit her life to Christ!